Landrover Defender: Land Rover Defender 110 Td5 Double Cab 'Black Edition' LE OVERLAND READY. MOT. Land Rover Defender 110 Td5 Double Cab 'Black Edition' LE OVERLAND READY. MOT. 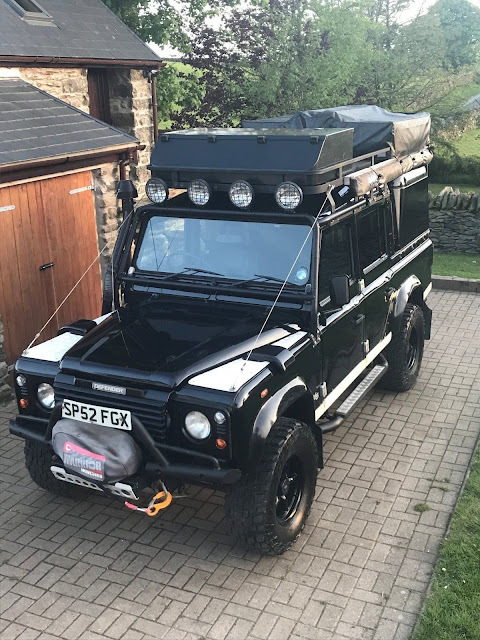 Sellers Comments - ery reluctant sale of our much loved Defender. This ‘Black Edition’ is one of 150 made and is a rare opportunity to purchase a once in a lifetime limited edition vehicle. 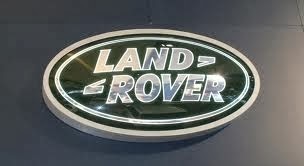 We have owned this Landy since 2005 and there has been no expense spared. It has been well used in that time but sadly not getting the use and attention it deserves any more. It comes with hundreds of receipts for work and extras purchased over the years, original purchase invoice and factory handbook and service book. All work has been carried out professionally and to a high standard. 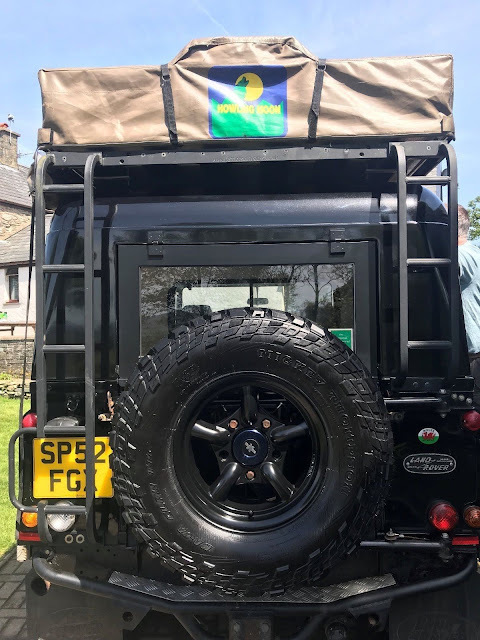 Mileage: 204k : Engine was replaced under warranty in 2005 by Conwy Land Rover at approximately 70K with a brand new engine, this one has completed around 130k and runs perfectly. Starts first time and has never given us a moment’s hassle. Re-mapped. To be sold with all extras and all camping gear as pictured. Howling Moon Roof Tent with drop down tent. Howling Moon Side Awning with sides. Powder coated lockable roof box containing table, 2 chairs and camping kitchen. All supplied and fitted by Trek Overland in 2005. 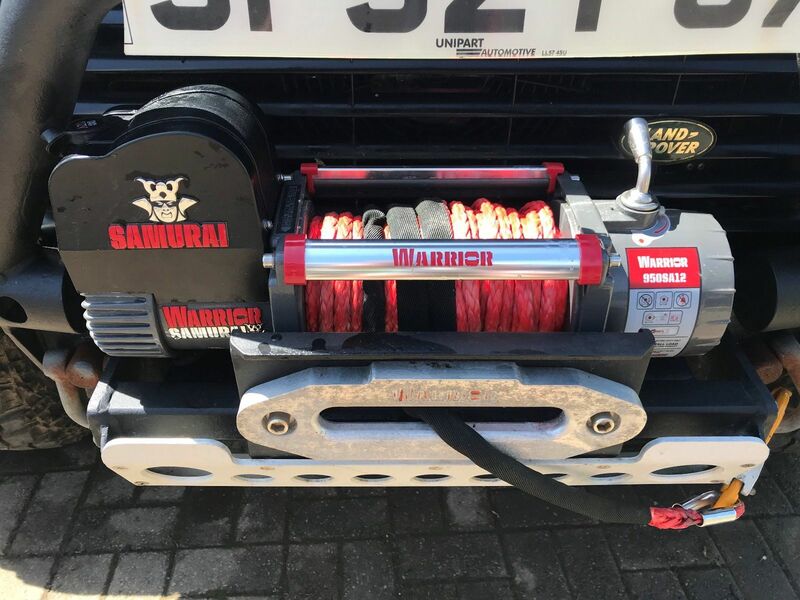 Custom built Patriot roof rack and ladders – refurbished and re-coated by Patriot in 2016. Warrior Samurai Winch in as new condition with remote and neoprene cover. Truckman Back Box, Chequer plate lined with tub tray locking drawer. All electronics work as they should, including heating, wipers and lights! Bodywork all in alignment, no leaking, seals in good condition. Remote central locking with 2 x keys. All receipts, previous MOT’s, Logbook, Service records etc present.